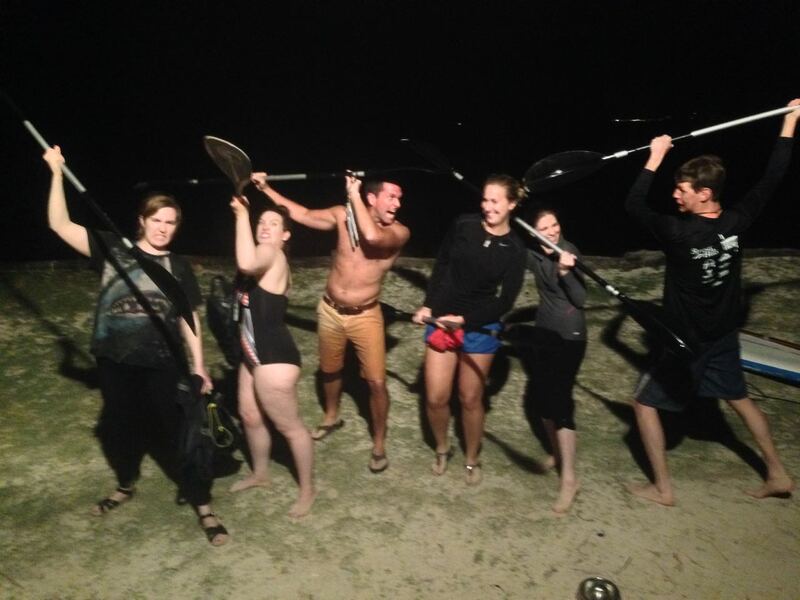 This April sure had lots of windy starts to our Bioluminescence tours in Tobago. The extra work in paddling to the lagoon sure paid off with fantastic glowing plankton. Here is a fun picture from one such group. Only one person did this tour on a stand up paddle board with everyone else on kayak!